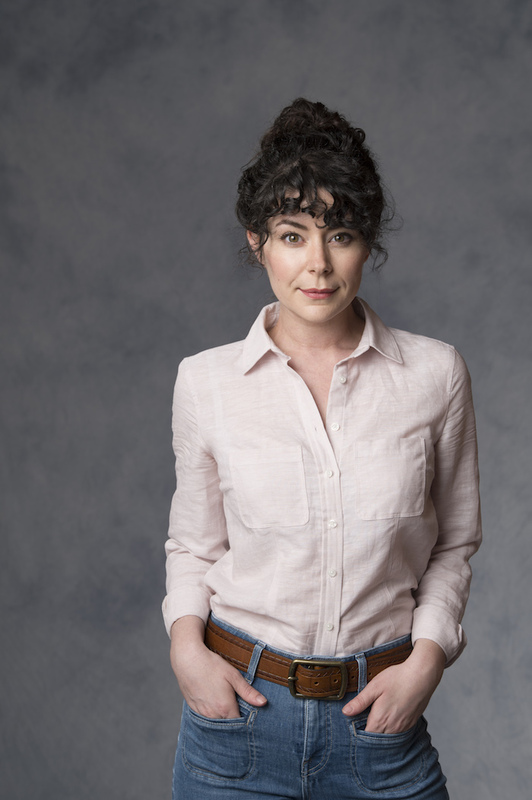 There are many reasons to make the trip to Niagara-on-the-Lake to visit the Shaw Festival; the opportunity to see Outstanding Supporting Actress nominee Marla McLean perform is one of the very best of those reasons. Natural, empathetic, and preternaturally versatile, the addition of Marla to any production instantly elevates it- a theory that was put to the test when she was called at the last minute to step into Jackie Maxwell’s production of Uncle Vanya after an illness sidelined the actress originally cast as Sonya. We last interviewed you for the 2014 series about Juno & the Paycock. Catch us up on your life since then. My wonderful husband (fellow Shaw company member Graeme Somerville) and I travelled to Paris for our long awaited honeymoon … And in July of 2015, we welcomed our phenomenal boy, Griffin Somerville. One of the best years of my life. Tell us about your MyTheatre Award-nominated role in Uncle Vanya. How has Sonya been reshaped first by Annie Baker’s adaptation then by your interpretation? Annie Baker’s adaptation is exceptional. 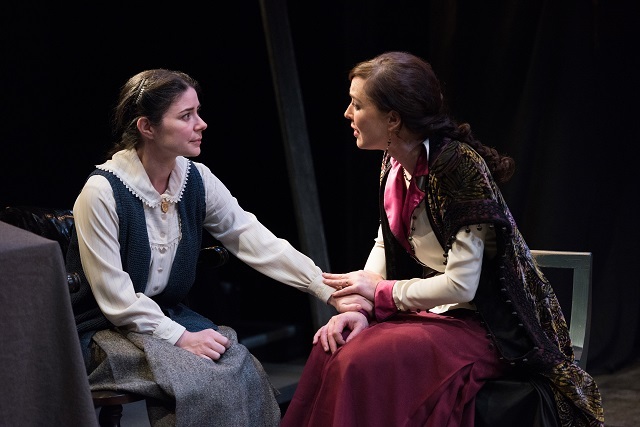 Having worked initially from a literal translation, there was – in Ms. Baker’s words – “An attempt to loyally translate the slang of 19th century Russia.” With this modern translation, I found a great freedom in having the opportunity to put aside some of the more traditional ideas of period theatre and focus solely on the relationships unfolding in this play. Moya O’Connell is also nominated this year for her performance as Yelena. Tell us about working with her in Baker’s more contemporary view of that relationship. Moya O’Connell and I have worked together many times. Though we are very different actors, we have an ease and a shorthand that allowed us to find these women at their most vulnerable and, at times, their most grotesque. Director Jackie Maxwell really embraced silence for this production. What were some of the interesting discoveries you made during those long pauses? Silence is an interesting partner onstage. Chekhov is one of my favourite playwrights. I have always found silence to be another character in his plays. A sense of waiting, wanting, longing for someone or something. My hope was to understand the silence and yet not push to fill it. Easier said than done! Uncle Vanya was one of the final productions directed by the outgoing artistic director. What are some of the biggest things you’ll take away from Jackie’s tenure and your work with her? Jackie Maxwell created a space for women at the Shaw Festival that was inspired. She created an environment for strong, talented, politically-minded women to have a voice in all departments. Arriving as a young woman some years ago, I am grateful to have shared a work space with such forces of nature. Do you have a favourite moment from Uncle Vanya? There are many. The scene with Astrov (Patrick McManus) and I having a midnight snack was a favourite. As was the scene off the top, all quiet, listening to Telegin (Peter Millard) play the guitar. What were some of your other favourite Shaw productions of 2016? “Master Harold”…and the Boys. I read the play many years ago. It was a favourite. The production was beautiful. You’re about to head back into rehearsals at The Shaw. What are you up to this season? I am just about to head into rehearsals for 1837: The Farmers’ Revolt and then soon after I will start rehearsals for Dracula. What can we expect from the Shaw Festival under its new artistic directorship? We are in the hands of someone who both honours Shaw’s traditions and is pushing us to be bold and fearless in new ways. It is an exhilarating and exciting time here at Shaw. Thank you! I love reading the responses of others who have been nominated. 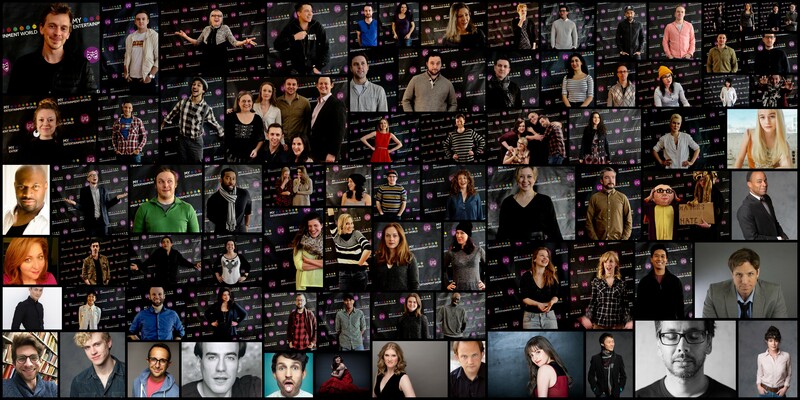 What a phenomenal theatre community we have.